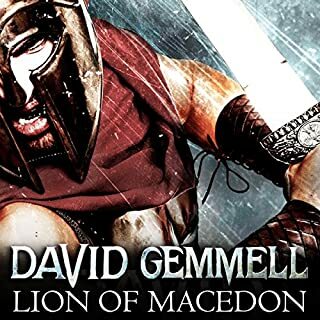 While I love many of David Gemmell's books this one was pretty disappointing. It started really well then lost its way. It was as though the author wasn't really quite sure what the story was. That coupled with what felt was a half-hearted narration, it for me did not hit the spot. Peter Kenny is clearly no Sean Barret. Where I feel Gemmell really loses it is when he delves into fantasy which I don't think he can really handle convincingly. I've noted this in several others of his books like in the Waylander series, though the story in these was far stronger and could carry these weaker sections. I don't think I'll be listening to any of the others in this series. 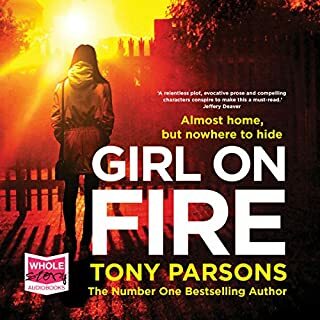 Im not sure where the author is heading with this series, after the disappointment with the last book no4, I was expecting/hoping for an upturn but in all honesty Im pretty disappointed again. While the story does contain interesting and compelling parts the author, in my opinion, includes too much repetition and padding. Its almost like he's trying in a desperate way to hit the 10 hour mark and is running out of ideas. 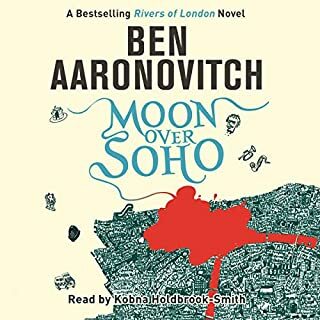 Some parts of the story are just too way out and the author is in danger of turning it into a farce, which is a real pity as he has created a really great foundation and world for his characters to roam. This story however, where the strong arm of the law meets My Little Pony is just one step too far into the world of fantasy. 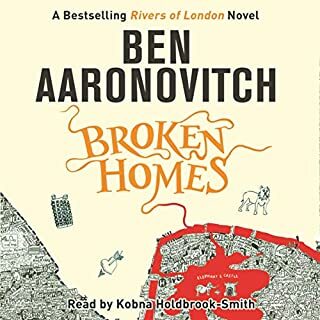 While the stories have become noticeably weaker the narrator, Kobna has really found his mojo and put in a great performance that really nails the main characters, he is Peter Grant. 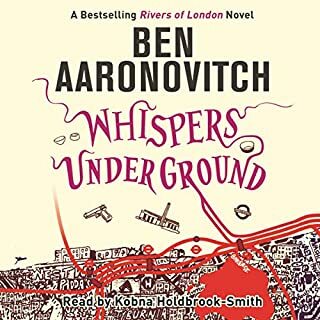 Ben Aaronovitch has stormed the best-seller list with his superb London crime series - a unique blend of police procedural; loving detail about the greatest character of all, London; and a dash of the supernatural. A mutilated body in Crawley. Another killer on the loose. The prime suspect is one Robert Weil: an associate of the twisted magician known as the Faceless Man? Or just a common or garden serial killer? 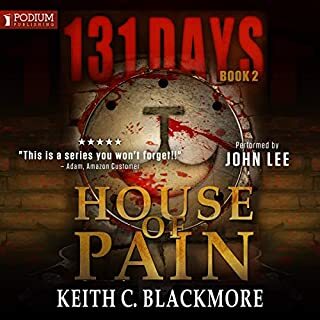 Before PC Peter Grant can get his head round the case, a town planner going under a tube train and a stolen grimoire are adding to his caseload. Im not saying the wheels have fallen off but the series has defiantly taken a lurch, and not in a good way. Too much padding and time spend on what appear to be peripheral and irrelevant storylines. 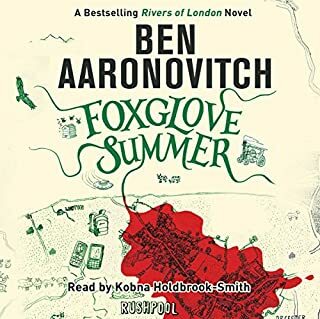 Much as I love the main character and the way the narrator handles him the basic story in this one was a bit of a let down. This is the best in the series so far. 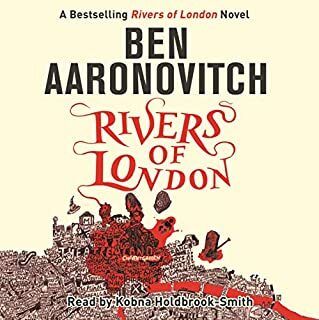 The narrator does a sterling job now that he really got to grips with the characters. The story moves along well and like the first two its full of humour combined, a pinch of pathos and reality mixed with the incredible. Pretty quirky and off beat. 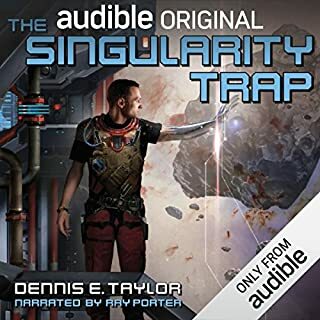 The narrator has really found the groove making for quite a good listen The overall story is a step up from the first book. It started out well but fell away, the story becoming somewhat thin. I think other reviewers make similar comments. The idea was sound in parts, though why certain things happened the way they did made at times little sense. I know its science fiction, but good science fiction makes the unbelievable believable, and I'm afraid this didn't quite do it. 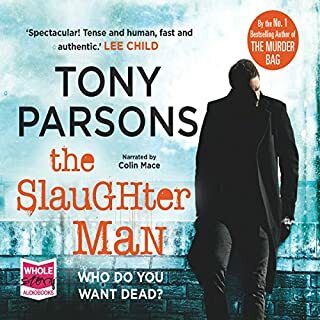 Tony Parsons certainly found his mojo with this one, and Colin Mace joined in. They are saying that audio books are a new art form and they could well be right. The combination of Tony and Colin produces an experience that chops you up and then spits you out. Listen to it and you will understand. Like Murder Bag there are some really strong aspects to this story. The way the author deals with emotional aspects of the narrative is really great. The downside is the occasional weak plot point like borrowing a scene from a well known film about killing someone called Bill! I thought that was a bit iffy! otherwise a pretty good story.